Hydrohotel.net is the site of the poet Richard Price. Here is a brief guide to his collections: Lucky Day is about the poet's disabled daughter Katie and how the family cope in the early days of the diagnosis. Greenfields is the Scottish book, celebrating life in a sleepy county before massive change. Rays is jam-packed with love poems. The prize-winning Small World returns to the world of disability, to Katie, now much older, twinning that experience with the story of Price's dear friend who suffers a stroke at a young age. 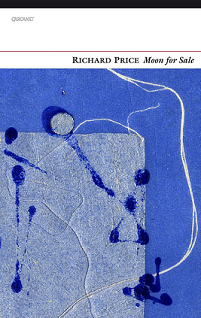 Finally Moon for Sale, a Guardian book of the year, is the political one, a witness to consumerism and big business dancing with each other in a lurching tango.